There are many different kinds of plants that can be used as both decoration and as additional means. To provide a perfectly good example, aloe vera — the plant which is native to the Mediterranean and basically grows like a weed — is one of these plants that have additional purposes. 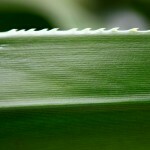 Unlike other plants, you can reap the benefits of aloe vera by way of consuming it. While you can certainly buy the green juice at your local health food store, there’s nothing like extracting the goodness from your own aloe vera plant with various aloe vera juice recipes. While the distinct freshness and unfiltered nutrient value of homemade aloe vera juice is unparalleled (in comparison to store-bought versions), how exactly to make the concoction can be a bit confusing. But with the help of aloe vera juice recipes from AloeVera.com, the first steps towards making your very own nutrient-packed aloe vera juice is within reach. One of the more common aloe vera juice recipes involves boiling the plant leaves and directly and drinking its juices, but not everybody considers this a palatable idea. Instead, you can buy the potted plant and extract its juices to mix with other ingredients as a part of an aloe vera juice recipe. Mixing your own aloe vera juice recipe allows you to maintain a desirable flavor while still gaining all the health benefits the plant offers, such as preventing colitis, ulcers, indigestion and irritable bowel syndrome. Exotic Aloe Vera: The recipe that offers a little more of an exotic flavor. 2. Step 1: Obtain a blender. 3. Step 2: Pour all of the ingredients into the blender, including the pulp of the leaf of the aloe vera. If desired, you can add coconut milk as desired for taste. Beside the delicious addition, you will benefit even more from the drink’s anti-viral and anti-bacterial qualities. 4. Step 3: Blend the ingredients together until it is mixed well. 5. Step 4: Pour into a glass and consume. Light and Lemony Aloe Vera: The recipe tailored to lemon lovers who want something light. 3. Step 2: Slice the apple to remove its core. 4. Step 3: Slice the cucumber to break down its size. 5. Step 4: Add the sliced apple and cucumber into the blender. 6. Step 5: Blend the apple and cucumber together until they are mixed well together. 7. Step 6: Cut the lemon in half. 8. Step 7: Squeeze out the lemon juice into the mixture. 9. Step 8: Cut apart a leaf of an aloe vera plant. 10. Step 9: Scoop the pulp out and add it to the mixture. 11. Step 10: Blend the mixture, pour into a glass and consume. While these two aloe vera juice recipes are packed with a bounty of nutrients and toxin-fighting properties, there are a multitude of ways to concoct the perfect recipe for aloe vera juice.